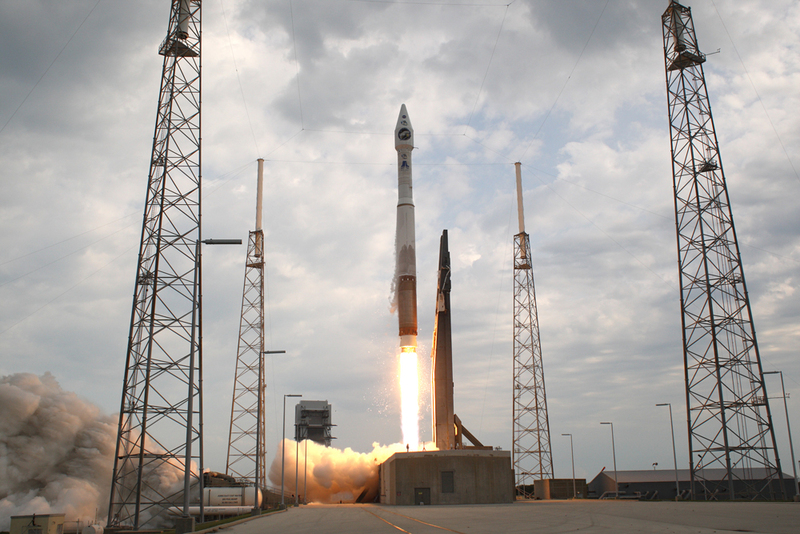 Atlas V rockets have used Russian RD-180 engines since 1996. The Pentagon is developing an alternative for Russian equipment used in national security aerospace launches. The Russian exporter has welcomed the news and says it is an incentive to improve the quality of its product. The U.S. air force has signed contracts with two U.S. firms in an attempt to develop a domestic alternative to the Russian RD-180 engine used in National Security Space launches, according to information released by the U.S. Department of Defense on Feb. 29. A Moscow-based producer and exporter of the RD-180 engines, NPO Energomash, contests that the investment will affect prospective exports of the Russian-produced engines to the U.S.
‘NPO Energomash will sell 20 more engines to the U.S. by 2019,’ in full accordance with an agreement signed in Dec. 2015 with RD Amross [a Florida-based joint venture], said Igor Arbuzov, general director of NPO Energomash. In a recent move, the Pentagon awarded $115.3 million to Aerojet Rocketdyne, a California-based company producing rocket propulsion systems, to develop a prototype of the AR1 rocket engine. Another contract awarded $46.6 million to United Launch Services LLC, a subsidiary of United Launch Alliance, a major importer of the Russian rocket engines. Both agreements come as a result of the National Defense Authorization Act of 2015, which envisages transition to a domestic alternative away from the Russian-produced engines. Aerojet Rocketdyne and United Launch Services LLC have contributed additional $57.6 million and $40.8 million in investments respectively. ‘Our company sees the U.S. investment as an incentive to improve our product’s quality, cut expenses, and develop the best commercial proposal,’ said Arbuzov. The U.S. government has been considering switching from the Russian RD-180 to U.S.-made engines for years. In 2014, the United Launch Alliance transferred an unspecified sum to Blue Origin, a spaceflight venture owned by Amazon CEO, Jeff Bezos, to develop a prototype. However, despite numerous attempts to design an alternative, the Russian-produced RD-180 is still being used in the U.S.-designed Atlas III and Atlas V expandable launch systems. Although the U.S. has potential to coproduce the RD-180, it requires substantial investment and several years of development, according to a Rand Corporation report. However, Russian observers believe the U.S. efforts remain marginal. “The mentioned investment is only a small part of the future expenditures,” said Igor Afanasyev, editor-in-chief of the Сosmonautics News magazine. The U.S. Department of Defense estimates that potential investment in the project by the government and the two ventures could reach $1.1 billion. According to Afanasyev, it could take as long as seven years for the U.S. to equip its space launch vehicles with the domestically made engines. “I’m not sure it is realistic to accomplish the project in five years,” he told RBTH. This is not the first attempt by the U.S. to substitute the Russian-made engine with its own. “An attempt was made 20 years ago but failed. In order for this technology to work successfully a myriad of details must be accounted for,” said Viktor Litovkin, a Russian military observer. A recent period of political tensions between Washington and Moscow may have encouraged the U.S. authorities to go forward with the existing plan to develop an alternative to the RD-180. In April 2014, the media reported the U.S. Federal Court had issued an injunction against sales of Russian-produced RD-180 engines to the United Launch Alliance, a U.S. importer of the rocket engine, in a move to punish Russia for its policies in Ukraine and Crimea. In 2015, the Senate Appropriations Committee lifted the ban on importing the Russian-made engines. Whether the import of RD-180 engines to the U.S. comes in violation of economic sanctions imposed on Russia remains unclear. Business and government representatives in both countries are debating the issue. According to NPO Energomash director Arbuzov, economic sanctions have not affected exports of the RD-180 engines in any way so far. Arbuzov denied that the U.S.’s attempts to design a substation prototype may critically undermine operations of the Russian engine producer, but confirmed that the U.S. is the only client purchasing the RD-180 engines from the Russian firm.